Since winning her independence just a short 50 years ago, Singapore has made it her business to keep up with the rest of the world by hiring some of the world’s most renown architects to design some of the most beautiful sky lines. 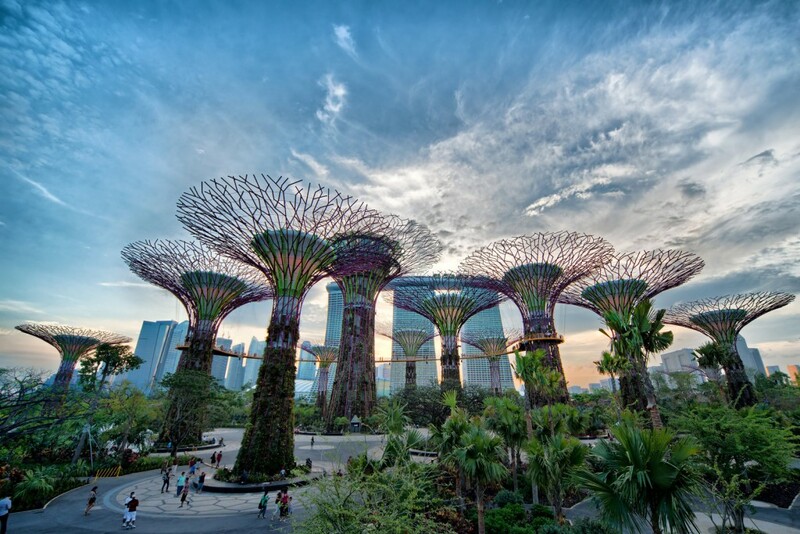 Enjoy this week’s installment of Inspiration Friday ~ Singapore. Singapore is a melting pot of several Asian countries. Although founded by a Brit in 1819 named Sir Stamford Raffles, it was originally conquered and occupied by the Japanese. She gained her independence in August of 1965 and has been a rising star in the financial world ever since. Some of the world’s biggest banks reside in Singapore, as it is one of the safest countries. Singapore is a small 445 square mile island nestled between Malaysia and Indonesia. But what it lacks in size it makes up for with cutting edge architectural designs. If food is your passion, Singapore doesn’t disappoint. Singapore is a foodie haven with something for every palette. The best place to get local cuisine is the local Hawker centers. Scattered throughout the island, these stalls are where you’ll find traditional food from every country in Asia. The recipes are passed from generation to generation and locals are often heard debating which stall serves their favorite version of their favorite dish. If gardens, flowers, lush, green lawns perfect for picnics is your passion then the Botanical Gardens in Singapore will not disappoint. This 74-hectare horticultural wonder is a peaceful haven and urban escape. Along with the serene open spaces, visitors will also find a National Orchid Garden which maintains a collection of more than a thousand species and 2,000 hybrids of Orchids (including Singapore’s pink-hued national flower), while three lakes, a botany center, and a ginger garden offer opportunities for eco-education. The Botanical Gardens is also home to many birds, insects, and animals offering unlimited photo opportunities. The Shaw Foundation Symphony Stage also calls the gardens home and is located on Symphony Lake where there is an occasional free concert offered on weekends. There is a place for every budget when it comes to accommodations. From backpacker hostels to luxury hotels there is something for everyone in Singapore. Singapore has some of the most remarkable architectural designs. One of my favorites is the Marina Bay Sands. Internationally renowned architect Moshe Safdie, from Las Vegas, designed the spectacular hotel/convention center/shopping center/restaurant/casino/theater and it truly is an amazing sight to see. My favorite thing to do is to ride to the top and take in the breathtaking views from the Sky Park. You gain a sense of how extraordinary Singapore is when you get a 360° view of her. Another marvelous architectural feat is the Gardens By The Bay. It’s an attraction that encompasses three spaces where you’ll enjoy Super trees, a waterfront garden, and a vertical garden that generates it’s own solar panel and rainwater that acts as a ventilation system for the whole park. The most amazing thing to me…it’s all enclosed in an air-conditioned space! Now, how can you have plants from every corner of the world and successfully grow and display them in air conditioning? It’s simply remarkable! 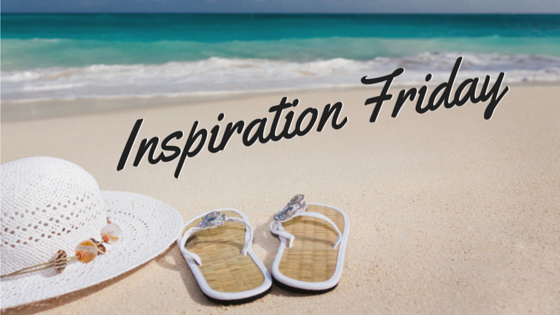 I hope you enjoyed this week’s installment of Inspiration Friday ~ Singapore. Have you ever been to Singapore? Share your experiences with us! !